The Congress President informed that the UPA government is all set to introduce the Right to Food Bill in the current session of Parliament by adding “It is our government that has brought in the Mahatma Gandhi NREGA, the Right to Information, the Forest Rights Act and the Right to Education. The Right to Food Bill is to be introduced in the current session of Parliament”. Congress president Sonia Gandhi while addressing the Youth Congress Convention in Delhi on Tuesday said that the UPA government at the Centre was committed to eradicate corruption and hoped that the Opposition will help in passage of anti-graft measures, including Lokpal, during the current session of Parliament. "Corruption is indeed a plague of public life. We are committed to eradicate it," the Congress President said. She also said that alongwith with the Lokpal Bill, the government is working on a variety of legislations including electoral reforms which will systematically fight corruption. "The political system needs administrative, judicial and electoral reforms, including state funding of elections and fast-tracking of corruption cases. I hope that the Opposition will support us in passing these important measures," said Sonia Gandhi. Maintaining that the Congress has always been in the forefront in the fight for freedom and safeguarding the rights of the common people, she said, “In the last seven years, the Congress-led UPA government under the leadership of the Prime Minister Manmohan Singhji has initiated a number of measures that have brought great relief to the aam aadmi while ensuring them their rights. Youth Congress leaders should make sure that schemes of government are widely known and it should work as a “pressure group” to ensure their proper implementation”. Congress (I) General Secretary Rahul Gandhi has blamed Mayawati government for encouraging corruption in Uttar Pradesh rather than tackling it. In the last two decades all non-congress parties which have been ruling the state encouraged corruption in one form or the other, he said. But Mayawati’s BSP government has turned out to be worst. Mayawati has turned the government into a trading company where items and services are being sold for a negotiated price added Rahul Gandhi. As a result there is rampant corruption. While corrupt ministers, legislators and middlemen are making money, poor people are being compelled to pay bribe for getting anything done said the Congress General Secretary. Rahul Gandhi went on saying “Whenever farmers protest against forcible grabbing of their lands, Mayawati government orders police to shot poor farmers as it happened in Bhatta-Parsual. There is no body to listen to the grievances of the people least of it Mayawati who has kept her eyes closed on corruption for the last five years.” Rahul Gandhi promised to change these affairs in the state if Congress (I) is voted to power in the coming Assembly elections. She also cautioned the emerging leaders “It has been rightly said and proved that a divided team can never succeed and a united team can never fail”. “As young India you are being given an opportunity to take part in a great task. Since building takes time, the rewards may not be immediate but it will be deep and satisfying. You have the power to make a beautiful life for yourself and for others” she concluded. Appreciating the Youth Congress Sonia Gandhi said “you set an example by barring those convicted of crimes from contesting organisational elections and added “All of you have contested elections in the organization. In all elections some one wins and some one lose. But after elections you are all part of the same team working towards a single common goal, the betterment of the organisation of the Congress. There can be difference of opinions on various issues but these differences can be ironed out through discussions within the organization”. She also urged the youth “Your every action will reflect on the organization. You must work with sincerity and honesty. You must listen to the people and help resolve those. You are public servants so fight against all evils of the society like female foeticide and dowry abuses and you should fight discrimination of all size”. She reminded “Congress has a long history of service and sacrifice. Many of leaders have given up their lives for the Nation”. “Politics is not about exhorting power but to work for a better world. As a young Indian you now get an opportunity to be a part of the Nation building. You have the strength to make a place for yourself in your life and for the nation building”. “Corruption is indeed a plague of public life. We are committed to eradicate it,” the Congress President said. She also said that alongwith with the Lokpal Bill, the government is working on a variety of legislations including electoral reforms which will systematically fight corruption. “The political system needs administrative, judicial and electoral reforms, including state funding of elections and fast-tracking of corruption cases. I hope that the Opposition will support us in passing these important measures,” said Sonia Gandhi. 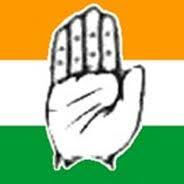 Congress (I) has lashed out at Mayawati for all round failure of industrial growth in Uttar Pradesh. Mayawati’s high handed policies have demoralized the industrialists big or small alike rather than encouraging them to register high growth rate. Forcible extortion of money and hafta wasuli has compelled the marginal industrialists to closed down their establishments. Those who are able to pull out are shifting their industries to other states. This has led to a chain reaction. While production has come down, unemployment has risen directly affecting the people of Uttar Pradesh, said Congress (I). Even if it has brought down state revenue collection Mayawati is not worried because she is helping herself from NOIDA where private builders are offering her handsome income in return for allotment of prime land. But alas Kanpur which was once known as Manchester of the East has become junk yard of closed industries, said Congress (I). On the fourth day of his tour to Uttar Pradesh Congress General Secretary Rahul Gandhi lashed out at Mayawati Government for the misuse of the fertilizers and urea sent by the Centre. “We sent fertilizers to Uttar Pradesh for the farmers but they are being black-marketed in Nepal. As a result the farmers in the state do not get the required fertilizers and urea sent by the Union Government,” he said. He was addressing a well attended rally at Maharajganj near the UP-Nepal border on the last day of his UP tour as part of the Congress campaign for the upcoming assembly polls. Referring the farmers’ issues Congress General Secretary claimed that the Congress Governments realizes not just the strength of the farmers but also the difficulties faced by them. “Congress Governments in states like Delhi, Haryana or Andhra Pradesh have been making policies aiming for the welfare of the farmers. They acquire the lands of farmers by paying adequate compensation. But in Uttar Pradesh, BSP Government grabbed the poor farmers’ land in the Ganga and Yamuna Expressways forcibly. Did not pay proper compensation and sold it to the builders. When the farmers agitated, they were labeled as Naxals,” he argued. “In Tappal and Bhatta-Parsaul farmers were assaulted by the BSP Government. Police fired at the agitating farmers when they were merely resisting the wrong and forceful land acquisition. When the farmers asked for the adequate compensation for their own land the government authorities called them Naxals. Mayawati Government gave no justice but only bullets to the farmers,” said Rahul Gandhi. Congress President Sonia Gandhi addressed the Youth Congress convention at Rohini in New Delhi on 29th Nov 2011. Addressing the elected members she said, “ I am happy to be in this historical Youth Congress convention. I expect that you all must have b been benefited with the discussions of the last two days. You must have got a lot of new information and you will try to implement them in your respective areas. I congratulate the Youth Congress for successfully conducting their elections. Would also like to congratulate the Youth Congress Election officers for conducting the election in a fair manner. You have proved wrong all the apprehensions and have shown that the energy of our youth will definitely take forward the Congress Party. Our party is the oldest party of this country. In pre independence era the Congress party encouraged the new generation in every part of the country to come forward and provided opportunity to them. Rajivji believed that our youth will take the country in the forefront of the first row of nations. His decision to provide voting rights at the age of 18 years gave lakhs of youngsters to participate in the democratic process. Today, Indian youth have registered their presence in the country and abroad in every field. Talented youth should be brought in politics and that's the need of the hour. Your election, your training and your involvement will help in nation building. The process of training which has started is commendable. The very first time you have brought in accountability of the assignment as one's identity. This will help to strengthen the party from the grass root till the top. You all are the foundation of the party and country's hope. The process of change which has started has given you the elected representatives a very big responsibility. You have to ascertain that the faith which has been shown in you shouldn't go waste. You are responsible towards them who have elected you. And that's why you have to be regularly in touch with them. You have to involve them in your programmes. You have to assign them work and use your imagination in a way that today's voter becomes a sincere worker in the future. ongress President Sonia Gandhi addressed the Youth Congress convention at Rohini in New Delhi on 29th Nov 2011. Addressing the elected members she said, “ I am happy to be in this historical Youth Congress convention. I expect that you all must have b been benefited with the discussions of the last two days. You must have got a lot of new information and you will try to implement them in your respective areas. I congratulate the Youth Congress for successfully conducting their elections. Would also like to congratulate the Youth Congress Election officers for conducting the election in a fair manner. Rajivji believed that our youth will take the country in the forefront of the first row of nations. His decision to provide voting rights at the age of 18 years gave opportunity to lakhs of youngsters to participate in the democratic process. Congress General Secretary while addressing the elected representatives of Youth Congress said, “ Bapu challenged, questioned and refined every idea he ever had. He developed leadership in people around him by encouraging them. A leader in the Indian tradition is not someone who leads people , she is someone who knows how to lead herself. Gandhiji believed that all human beings have right to political expression. He never sought to control or own the Congress party. Gandhiji not only changed the organization, he changed the people within it. Today we don't have a Gandhiji. That's why we are using the system of elections and democratization which will enable the Youth Congress to open itself for the youth of this country." Gandhiji is no longer a man. He has become an idea. He is an expression of all that is good in humanity. He is one in a long line of people who truly represent the soul of India. challenged, questioned and refined every idea he ever had. He developed leadership in people around him by encouraging them to do the same. A leader in the Indian tradition is not someone who leads people. She is someone who knows how to lead herself. a political voice. He cracked its hinges open and used it to provide a political identity to millions of Indians. He never sought to control or own the Congress Party. He strove instead to give it to its true owners, the people of India. Gandhiji did not only change the organization. He changed the people within it. ensure that the youth of India will have the opportunity to elect their own leaders every two years. The elections have empowered a new generation of Youth Congress leaders. As you begin this journey I would like to offer you some ideas that might help you as you progress in the world of politics. the day he died. In fact he maintains it today as I speak. Try not to lose this trust. Today, many political leaders lead by telling people what they want to hear. People who tell others what they want to hear are not called leaders. They are called followers. Learn to lead. recognise and fight for the truth. Finally, understand that leadership in our tradition is not about taking but about giving. It is not about leading people but about leading yourselves. I wish you all the best for a great journey. India to take the reins of the Youth Congress and guide the destiny of our Nation. ongress General Secretary while addressing the elected representatives of Youth Congress said, " Bapu challenged, questioned and refined every idea he ever had. He developed leadership in people around him by encouraging them. 90% are being looted. So you should not let such things happen in your state”. On the fourth day of his tour to Uttar Pradesh Congress General Secretary Rahul Gandhi lashed out at Mayawati Government and teased her by saying that the grass-eati‘elephant’ was converted to a money-eating’ elephant’ by Mayawati. He was addressing a rally at. Attacking the state government Rahul Gandhi said that in Uttar Pradesh the real problem is the government, not the people. “They do not come to you to know your pain. They do not listen to you. The government represents only 10% of the society and it works only for them and the funds for the rest 90% are being looted. So you should not let such things happen in your state”. Expressing his anger over the bad conditions in the state Rahul Gandhi said “I feel angry for the fact that the people of Uttar Pradesh help other countries to develop. The shining metro in Delhi was made by the labours from UP. The roads and buildings in Mumbai were built by them. Who are reaping the benefits of your labour, the respective states. But no jobs are available here in U.P. How can they get jobs without having proper roads, sufficient electricity and water? If your state and you are not developing, you will have to go to other places like Maharashtra, Punjab and Delhi and you have been doing so. We need better development and infrastructure. We need roads, electricity and sufficient water. “All states, Maharashtra, Haryana, Mumbai, Kerala or Andhra Pradesh, are also surging ahead. The responsibility of the Government is to bring development. But what is happening in Uttar Pradesh? No roads, no electricity or water” he complained. Lamenting over the poor infrastructure in Uttar Pradesh Rahul Gandhi said that the roads in Uttar Pradesh last only 3 months. “The roads are languishing in dilapidated state and are littered with gutters and potholes. Because the funds meant for the roads and other amenities are being diverted to the pockets of ministers and contractors”. “We sent fertilizers to Uttar Pradesh for the farmers but they are being black-marketed in Nepal. As a result the farmers in the state do not get the required fertilizers and urea sent by the Union Government,” he argued. Congress (I) General Secretary Rahul Gandhi has blamed Mayawati government for stealing poor people’s money. He has charged that Congress (I)-led UPA government at the Centre has been sending funds to the tune of thousands of crores for development of Uttar Pradesh. But those funds under Mayawati government are not reaching the poor people for whom they are meant for. He added that Mayawati did not bother about what was happening in her state or to the people. Central government has been sending huge funds for employment generation in the state through Mahatama Gandhi NREGA Scheme. This scheme provides guaranteed employment for poor at the cost of central government. Why the benefits of this scheme have not reached the poor. What happened to NRHM funds for improving rural health services? Where has that money vanished? 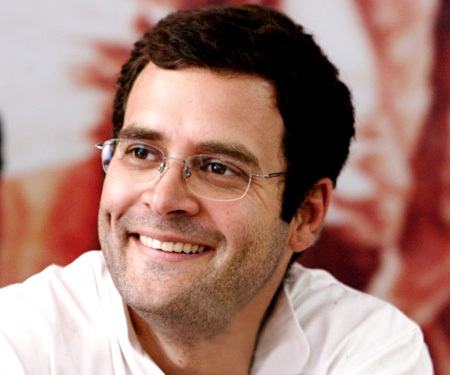 If every thing is normal why has Allahabad High Court ordered CBI probe in the matter, asked Rahul Gandhi. Referring the farmers’ issues Congress General Secretary claimed that the Congress Governments realizes not just the strength of the farmers but also the difficulties faced by them. “Congress Governments have been making policies aiming for the welfare of the farmers. They acquire the lands of farmers by paying adequate compensation. When rich people sell their lands, they get proper price for the land. But in U.P if poor farmers sell their land to the Government and ask for adequate compensation, Government assaults them. BSP Government grabbed the poor farmers’ land in the Gorakhpur-Noida region forcibly. Did not pay proper compensation and sold it to the builders. When the farmers agitated, they were labeled as Naxals. Police fired at the agitating farmers when they were merely resisting the wrong and forceful land acquisition”. Expressing his concern over the pathetic conditions of the hospitals in U.P “I went to a hospital in UP where some painting and renovation works were going on. I went inside. There were no doctors, patients or nurses. Dogs were scampering inside. I asked them what is going on. They said that Mayawati is on a tour to this area and she will be visiting the hospital and therefore the renovation. As she was expected to take the road route so the roads were being repaired and the hospital building was being painted,” he said. On the fourth day of his tour to Uttar Pradesh Congress General Secretary Rahul Gandhi lashed out at Mayawati Government and teased her by saying that the grass-eating ‘elephant’ was converted to a money-eating’ elephant’ by Mayawati. He was addressing a rally at. Addressing a huge gathering at Pradesh Padrauna in Uttar Pradesh on the last day of his five-day tour to the state as part of the Congress campaign for the upcoming assembly polls he did not spare BJP too. He said that BJP failed to note the problems of the people and claimed that India was shining. “They designed the ‘India Shining’ slogan behind closed doors and their leaders did not go to people, could not understand the poor state of affairs in the villages and thought that India was shining. But the people of India gave them a befitting reply by voting Congress-led UPA to power”. He underlined that the Congress is committed to work for the poor, dalits, adivasis and underprivileged. Rahul Gandhi at Bahraich "U.P goes backwards while all other states move ahead"
Addressing a Congress workers' meet at Gaind Ghar Ground, Bahraich on the second day of his UP tour AICC General Secretary Rahul Gandhi lashed out at the Mayawati Government. He said that the BSP Government has been misusing all the welfare schemes brought in by the Central Government meant for the poor. " Taking a dig at Samajwadi Party he said "They talk about dalits and underprivileged. But it is to be recalled that Mulayam Singh Yadav joined hands with Kalyan Singh during the last elections." "We want to change UP," he asserted. Expressing his anguish over the bad conditions in UP Rahul Gandhi said, "I feel angry for the fact that when the entire country moves forward, UP goes backward. When I go to Maharashtra, people belong to UP come to me and ask what will happen to us? The youth tell me that there is no future in Uttar Pradesh. No jobs are available here. How can they get jobs without having proper roads, sufficient electricity and water? If any industry wants to be set up they need roads, electricity and water. Our Government is not bothered about these."